Kestrel LiNK for iOS wirelessly connects with compatible Kestrel 5 Series Weather and Environmental Meters and Kestrel DROP Wireless Environmental Data Loggers. Kestrel LiNK puts crucial information at your fingertips with real-time remote data viewing on phones and tablets up to 100’ away. Kestrel LiNK also provides easy data export, threshold alerts and simple firmware updates. Kestrel 5 Series Weather and Environmental Meters are the gold standard for rugged, dependable weather measurements. Measure and record multiple environmental conditions, including temperature, humidity, pressure, wind speed, firefighting measurements, performance racing metrics, HVAC parameters and heat stress indices. With a large, clear display, intuitive interface, wired and wireless connectivity and low-friction weather vane, the Kestrel 5 Series is NK’s most user-friendly, innovative line yet. Kestrel DROP® Wireless Environmental Data Loggers are the world’s easiest-to-use environmental data loggers. Measure and record environmental conditions, including temperature, humidity, pressure, dew point, wet bulb, heat index and density altitude. They are small, rugged, waterproof and accurate, and do their job in even the nastiest of environments. •Compatible with Kestrel 5 Series Weather Meters with LiNK and all Kestrel DROP Wireless Data Loggers. •View real-time conditions and download data logs from up to 8 local devices up to 100’ away. •View and analyze logged data through measurement lists, statistics and graphs. DROP or Kestrel 5 Series whenever conditions go outside your preset thresholds. •Export complete or partial data logs to analyze in a spreadsheet. 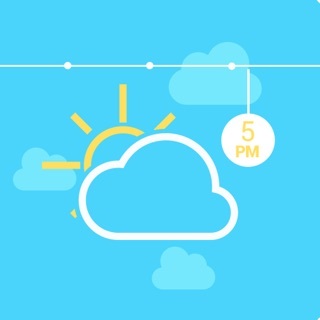 •Send weather reports through social media. •Manage the device name, logging rate and other device settings. 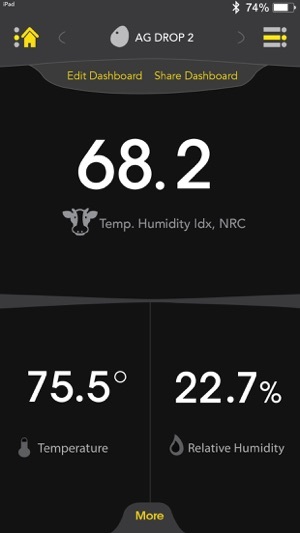 I bought this app to download and view temperature and pressure data from my D3 Drop. The app works very well when downloading the data from the logger, but the app offers limited control over display units (imperial or metric) and more importantly, pressure and time scales. The pressure plot always shows as a horizontal line, regardless of daily pressure variations, because the display scale is fixed at 29 to 32 inHg. This range scale is fine when a hurricane passes through, but useless for daily/weekly variations. Of course I can (and have) export the data to my phone or laptop, then plot using database software, but this defeats the reason to have the app plot the data. So two stars overall - good for downloading data from the logger, but useless for plotting that data. Drop D3 is great; app not so great. I am really happy with the Drop D3 for my needs. I am using it on backpacking trips to keep a log of temperature changes overnight. Having an app in my phone to visualize the log is great. Unfortunately, the app leaves a lot to be desired. It is very buggy. It has layout issues in various phone sizes. It has issues with crashing when data is cleared on the device. It has state management issues with some of the custom UI elements. I would give the Drop D3 five stars and the app one star. I looked on the Kestrel web site to see if they published an API guide for the device. I couldn’t find one. I would love to build a custom iOS app for this device. How about it? This app is an awesome idea. In theory, I can set the kestrel on a stand and not have to run up to it every time I want a reading. However, the app needs to be updated to be able to select individual units of measure like the kestrel can. I’m an Air Force weather tech and we take readings in knots. The current app only allows for imperial or metric which reads out as either MPH or m/s. Being able to individually select each unit of measure on the app would help out greatly! Please update!